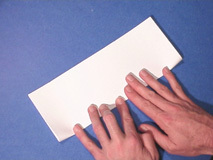 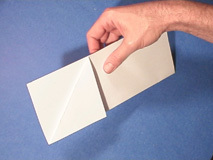 1) Fold the sheet in half. 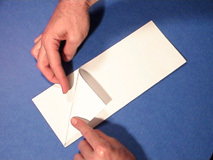 Fold a corner in even with the centerline. 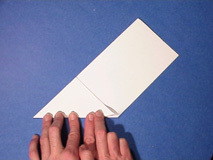 2) Flip the sheet over and fold the opposite corner in even with the centerline.